I’m all for skincare, for me that’s where it all begins. Your make-up will look ridiculously flawless cos your skin is flawless. My skin concerns are mostly that of pigmentation but I do have enlarged pores at the side of my cheeks by my nose and the tip of my nose. 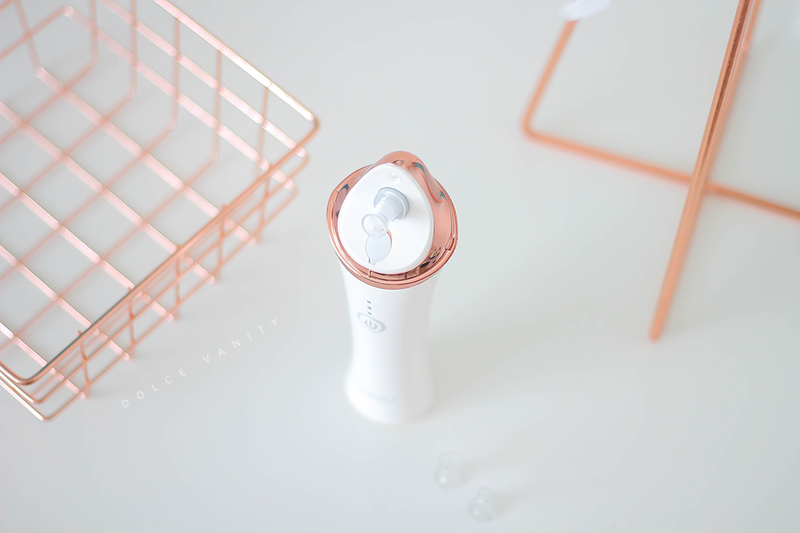 On the tip of my nose is where I can get blackheads, which are stubborn, so when I saw this SENSSE facial pore suction cleanser, I decided what harm can it do. Wearing make-up is part of my job and after working 8 days and wearing full coverage make-up, I really wanted to give my skin a deep clean. This device has 3 nozzle heads, small, large and blackhead extractor. It can be used with or without water. 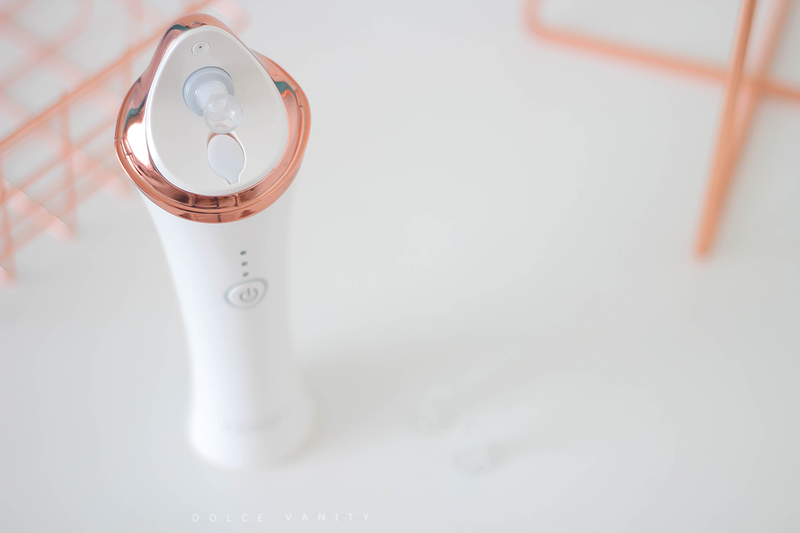 The small suction head gently removes impurities from sensitive skin, the big suction head removes sebum and impurities and the black head creates the strongest suction to remove those stubborn impurities. There is a water hole where you can input water that gives a light mist when switched on, using with water gives a more in-depth cleanse, hydrates while getting rid of the dirt. 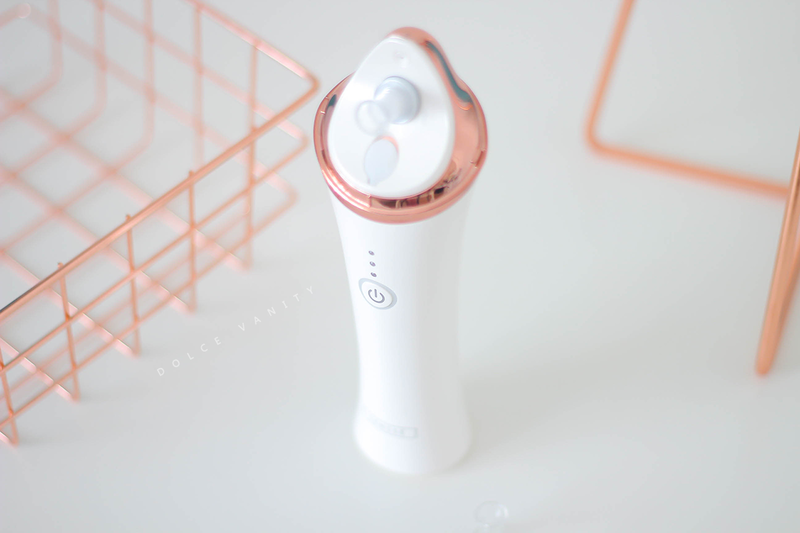 I wouldn’t say this gives a powerful suction, it won’t pull the skin very taut and sometimes I feel my skin doesn’t need to be pulled about. For those who like a powerful suction, this probably won't be for you. I do use it on the highest setting and it gently pulls the skin up, what I have found it is did remove my blackheads, I wouldn’t say mine are stubborn but my skin felt & looked smooth but also clear that I was quite happy. Overtime, using this 3x a week, the impurities will be moved out of the skin to make it less congested and clearer. Have you tried something like this? How do you deal with blackheads? I really dont like these machines because its so easy to go wrong and end up causing damage to your skin and breaking capillaries. This looks like such an interesting device and definitely something I could do with trying! I do have a similar machine that I am yet to put to good use, I do love that the suction is not too powerful to be honest. Great post, I have used this device myself and personally wasn't for me but I can see the advantages it has for others.